My mother chose my first name, Donna, from a Spanish dictionary, because it meant 'female'. But I have not a single memory of my father ever verbally calling me Donna. Verbally, he called me Polly. To him, and his parents, his siblings, and his co-workers, I wasn't Donna, I was Polly. As such Polly is the name I most identify with and, so, in 2015, I finally legally changed my name from Donna to Polly (though I still acknowledge then name 'Donna' as my 'fame name'). But surely then, I was a Williams? Er, no, not really. 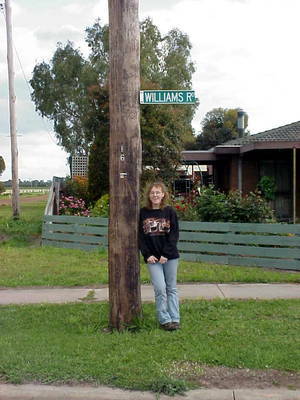 My surname, Williams, comes from a street sign in Horsham, Victoria, Australia. Whilst I have a wonderful Welsh name (my grandfather clearly had good taste and I have married a Welshman) I have no ancestors whatsoever by the name of Williams. Born in the depression in 1936, my father was born Ellis John Keene but was called Jack. Jack was the youngest of seven children (all half brothers and half-sisters). His parents had met and got together in Nhill, Victoria, then moved to Horsham. Jack grew up with his older brother, who was seven years his senior, and his biological parents, Ruby Keene (nee Sherwell) and Henry Roy Bonnell (aka "Harry Williams"). His parents were both in their 40s when he was born and his mother was a lovely lady, but a dipso so he likely had FASD (which is also evident in his pics which show no philtrum and very thin top lip). At age 6 my father moved with his parents from the bush to Fitzroy in the city, which was then a high-crime inner city slum. My father was unmanageable, would run away from school, struggled with literacy and didn't complete much education. As my father's parents were not married, he carried the name of his mother's ex-husband - a man unrelated to him and whom he'd never met. So my birth name was Keene. 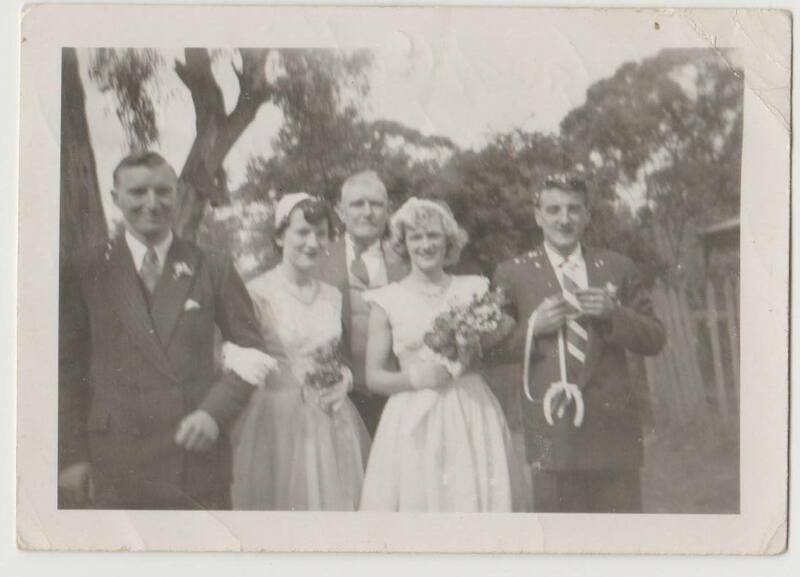 In 1956, aged 20, as Ellis John Keene, he'd married Valda McNair in Tarnagulla, Vic. They lived in Chapel St Fitzroy with my father's parents for the next 3 years. In September 1959 a teenage single mother, aged around 15-16 years old, with a baby aged between 3-5 months old, asked Valda to mind the baby so she could have a night out. Valda recognised the baby as my fathers. The teenager returned for the baby at 2am. My father returned 30 minutes later. The next morning Valda confronted him about it being his baby. She was bashed by him, and then ran away. That baby, born to its teenage mother between May-July 1959, would be my brother, probably doesn't know he was adopted and would have an altered Birth Certificate. There is no easy way to know who that teenage mother was (unless the missing brother was found and one of today's simple cheap DNA tests done). But there are clues as to who she was. The teenager would have been around 16, so born in 1942. She'd have been from a family that didn't care where she left her baby, didn't know or care that she was dating a married man 7 years older than her, or that she was out to the early hours. She'd have had some level of attachment disorder to so easily leave her young baby with a stranger, perhaps even calculating in doing so when she knew the stranger was her boyfriend's wife. My mother was born in 1942 and was 7 years younger than my father and would have been 16 in 1959. 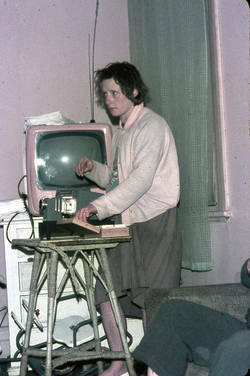 She had grown up in Fitzroy, lived with her 8 younger siblings and their alcoholic parents in a commission house in Maidstone. My mother had an older and a younger sister who each had had babies by age 14 and these babies had been adopted out to distant relatives. 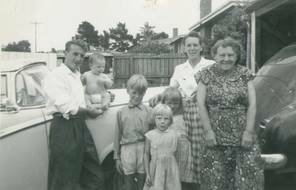 And around 1958-59 my mother went up to Bright in rural Victoria to live the year with her aunt and uncle, June and Bill Panlook. By 1960, 12 months after Valda ran away from my father, my mother became pregnant (again?) moved in with my father and his parents, and by 1961 my older brother, Shane, was born and spent his first year in Fitzroy, essentially stepping into the shoes vacated by Valda. My father changed his name to John Williams through Deed Poll and also changed that of my older brother who then became a Williams by deed poll. Valda divorced my father in 1964 and he married my mother when I was a year old. I acquired an amended 'second schedule' birth certificate now giving my father's name as Williams and so I now became renamed as Donna Williams. My younger brother was born in 1969, well after my father had become John Williams so the name of his birth father was then Williams, not Keene. Before my brothers and I went to school, my father changed his name by deed-poll to John Williams (called Jack or Jackie, though by late childhood - for up until then I generally didn't call my parents anything - I called him Jackie Paper, after the song which he used to sing). Now, with the name Williams, it matched that of his father (who had taken on the name Williams from the street sign in Horsham). My father was, however, not one 'person', he was many and likely a multiple: Jackie Paper, Johnny Bedrock, Jackie Williams, Sparkling Arkie, Wild Dog Dingo, The King, Poor Boy but the only one I thought of as 'Dad' was Jackie Paper. I was born Donna Keene and have the ticket from the crib with my name on it, my doctor, my nurse. I lived, however, as Donna Williams. When I was 17 I required my Birth Certificate and went to Births Deaths and Marriages to get it. I was asked for my name, told them it was Donna Williams. They asked if it was the name I was born with, I told them, no, that was Donna Keene. They insisted that even if my father had changed my name by Deed Poll I'd still have a birth certificate under the name I was born with (my older brother's name was changed by Deed Poll and he still had a birth certificate under the name of Keene). When they came back from the search empty handed they searched for one under the name of Williams and found one. The name of my doctor and nurse were not those from my birth, my father's name was not that he'd had when I was born, my parents were listed as married in the name of Williams. I insisted on some answers. I was taken into a little office and asked if my parents had told me anything. They pointed out that my certificate was issued in 1970 (I was born in 1963) which was the year by which both my paternal grandparents had died. It was suggested I check whether I'd been adopted. As an adult, when I tried to ask about this I was told two stories. One told to me by my father, two aunts and an uncle was that I had needed new custodians and rather than me being put into a children's home I was adopted within the family - a common practice in some families. The other story I was told was that it was 'done for tax reasons', which of course never made sense. The last of my paternal grandparents had died by 1970 (when I was six). However, a change of custodianship would not have resulted in me being adopted by them. Or perhaps my second schedule birth certificate was simply a way to 'legitimise' an illegitimate child in an era when it used to matter. 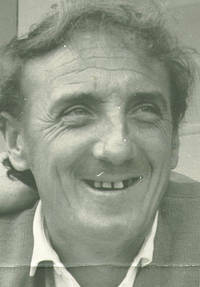 My father, who was a strong supporter of my books and music, died from cancer in 1995, aged 59 when I was 32 years old. In the last two weeks he had to live, I called him Dad for the first time. To me, he was a colorful, surreal and often manic autie-friendly character with limited reading and writing skills, who used characterization and gesture and spoke through story telling. Many of the techniques he used in interacting with me have informed what I call 'an indirectly confrontational approach' in my work with people with autism. Today's RDI (Relationship Development Intervention) approach used with people with autism has been informed by the indirectly confrontational approaches my father used with me. My paternal grandfather, Henry Roy Bonnell (grew up known as 'Roy') loaned the name Williams from a street sign in Horsham and lived under it as 'Harry Williams' until his death in 1968. Harry was a quiet, serious, responsible, solitary and private man who went to war 4th April 1916 with the 23rd Infantry Battalion, leaving his wife, Mary and their 3 year old daughter, Williamina behind. He'd been a driver and grave digger (23rd Btn, Australian Graves Detachment) with the ANZACs in Villers Bretonneux. Returning from WW1 in 1920 he found his wife Mary (nee Douglas) had an additional child in his absence. He then spent the following 14 years as a 'swaggie' (itinerant, moving to wherever he could find work). He met my grandmother, Ruby Sherwell around 1932 in Nhill, Victoria. Ruby already several older children who had already left home, one who had been killed, and her youngest, Stan, was then 4. Harry stayed with Ruby, brought up Stan and my father, Jack, was born in 1936. The name Bonnell descends from two possible names, Bonehill in Staffordshire and from Bonneau of Boinnelle which were refugees to the UK as persecuted non-Catholic French Huguenots of the middle ages from the South West of France (around Lorraine) and who also settled in Staffordshire. My DNA shows some French ancestry. my father, known by me as 'Jackie Paper' (after the character in the song) who was born to Ruby Sherwell in 1936, the last of her 7 children she'd gathered in her travels. Henry Roy Bonnell was born the only son and the youngest of 7 children in Kew, Victoria, Australia in 1894. His parents were James Henry Bonnell and Emily Richards. James Henry Bonnell was born Balhanna, SA in 1856. He had 9 siblings: Charlotte (born 1840 died 1841), John (born 1843), Mary (born 1843), Charlotte Elizabeth (born 1845), Joseph (born 1848), William (born 1850, died 1851), Hannah (born 1852, died 1852), Martha-Lucy (1853), Emma (1860). Emily Richards was born Adelaide, SA 1856, daughter of Benjamin Richards (born Bristol 1830) and Elizabeth Knight (born UK 1827, married Benjamin Richards in Bristol 1851). She had 6 siblings: Mr S.B (Wallaroo Mines), Mr W Richards (Nth Broken Hill), Mrs J Pritchard (Inglewood), Mrs W Hooper (Kew Vic), A.M Quick (Nth Broken Hill), Miss Richards (Nth Broken Hill). Emily Richards married James Henry Bonnell in SA before migrating to Victoria). James Henry died in 1927 and Emily died in 1938. They are buried in an unmarked grave number 357 in Box Hill Cemetary, Vic. <strong>Eva Bonnell (married John Stanley Donaldson)</strong> born St Kilda, VIC 1889, died 1955 Gardenvale, VIC (children: Jack Bonnell Donaldson, Lorna Grace Donaldson (married Anthony Joseph Haddad). <strong>Charlotte Elizabeth Bonnell</strong> born in South Australia in 1879, died 1880 aged 1. My great great grandfather James Bonell was christened on the 26th of December, 1802 and had a brother, Charles Bonell born on the 7th of December, 1806, both christened in St Michael's Church, Lichfield. He was convicted in Staffordshire on August 21st, 1819, for stealing a brown mare valued at twenty guineas at Morville, which is just over the Shropshire border, hence his being tried in Shrewsbury. He was sentenced to death, reduced to transportation for fourteen years, and arrived in Sydney on the convict ship Mangles 1 in 1820. He had spent a period on a convict hulk, an old Napoleonic Wars battleship called the "Retribution", where he was punished for being difficult or "of bad character". In New South Wales, James Bonell was assigned to William Guise on the Murrumbidgee. In the convict-indent, James is described as quite slight, with dark hair, dark eyes, and a dark complexion. He was a farm hand. In 1835 James married my great great grandmother, Charlotte Brown (born 1817 in the UK). Charles Bonell, born 4th July, 1838 in Collingwood, Victoria. Then James (now an ex-convict) and Charlotte returned to the UK for 1848-49 with four of their Australian born children. In the UK they had Joseph Bonnell in 1848 in Walsall, UK (married Enimiar Harriet Warren nee Richards in 1874, he died 1879). They then returned with five children to Australia on the Childe Harold in 1849 to assume a 'respectable' life of 'free settlers'. They then appear in South Australia in 1850 where they have several more children. Back in Australia, Charlotte Bonell also used the name Charlotte Mowbray. However, although she appears to have traveled using this name, she was, nevertheless buried as Charlotte Bonnell listed as having died in Walkerville, South Australia, 24th April 1912 aged 95, and her gravestone is intact and she is buried with her daughter Charlotte Reed (nee Bonnell). The date of death for Charlotte Mowbray the 'free settler' is the same date and there seems to be no gravestone for Charlotte Mowbray. 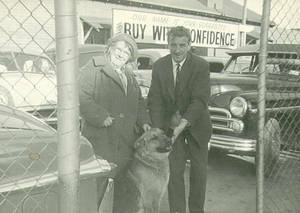 Other associated families linked with the convict James Bonnell include Denny, Frost, Kennedy, Pearce. Branches of the family lived at Collingwood, Laguna and Rous Mill. My great great great grandfather, John Bonell was possibly a church-carpenter. Other than their convict sons, James and Charles, John Bonell had another child in Birmingham, yet another in Wolverhampton, but finally settled down for good on the eastern edge of the parish of St Matthew's, Walsall. One of his other sons was Joseph Bonell from Wolverhampton. John Bonell and Mary Smith married at the parish church of St Mary's on the Market Square. In a Wolverhampton churchyard is a memorial stone erected by James Bonell when he returned to England in 1848/9. It has lettering, "In Affectionate Memory ...", and gives the names of both his parents as well as his own as the one who erected it. There is a Margaret Mowbray who married a William Brown in 1777 at St Botolph's, Bishopsgate, UK, who may be the parents of Charlotte Brown (Mowbray). 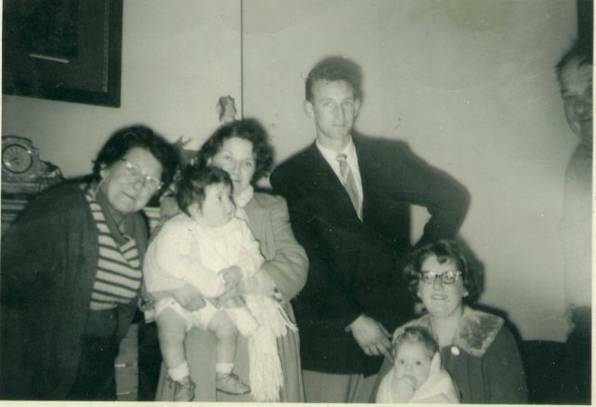 Ruby Sherwell, Sheila Chilton with baby Helen, my cousin Bill Neil (no, its not my father but they are look alikes) with his wife Val with baby Stephen and Henry Roy Bonnell ('Harry Williams') just peeping around the corner. My father Ellis John Keene, was known as 'Jack'. Jack's father is Henry Roy Bonnell (known as Harry Williams!). Ruby was a mixture of very shy but warm, friendly and sociable. She was musical, creative, giving, friendly. She danced, sang, played the harmonica, accordian and spoons. She created gifts for people from weeds and recycled foil and sweet wrappers. She was kind to children, rescued animals, was warm hearted, usually always smiling, laughed easily and had a great Joie de vivre. Clearly all this inbreeding isn't good on genetics and diabetes runs among the females of the Sherwells. But saying that they've turned out an abundance of artists, writers, musicians (including my cousin, Paul Plunkett), a champion speed skater and my younger brother 'Duel' won the x-treme games for break-dancing and awards for graffiti murals which I'd like to think was because of what he inherited from these people. These people may not be techies, scientists and engineers but they have some wonderful abilities. Within the Sherwell side is also bipolar, dyslexia, ADHD, two people diagnosed with Asperger's, another diagnosed with autism and MANY diagnosed with Coeliac (and two with Crohns). The older folk in this family grew up in the countryside, what we call 'the bush' and a number of them were referred to as 'feral', something a lot more acceptable among the children of poor, rural families and back then thought of as 'individual' and 'free spirited'. I'd like to think that's an asset, not a disability. The greatest thing my grandmother's side seems to have is a great naturalness, born eccentrics and big hearts. I'm proud of being one of their descendants. Emily Sherwell (b. 1873-08-30, d. 1939-10-06) was born in Tothills Creek, South Australia and was the daughter of Stephen Sherwell and Ann Graves Taylor. Joseph Taylor Sherwell (b. 1865-01-06, d. 1947-11-17) was the son of William Sherwell and Eliza Taylor. Joseph was also born in Tothills Creek, South Australia. Emily and Joseph were married in Adelaide and are buried in Nhill cemetery, Victoria. William and Stephen Sherwell were brothers, making Emily and Joseph first cousins (so their respective father in laws are also their uncles). Ann Graves Taylor is the daughter of Eliza Taylor (Ann's sister in law is also her mother), making Emily and Joseph also related through their respective mothers. This makes Emily and Joseph (my paternal great grandparents) what is known as double cousins. "Double cousins arise when two siblings of one family reproduce with two siblings of another family (though in this case it involved a mother and daughter instead of two sisters). Double cousins are genetically equal to half-siblings, sharing double the genetic material normally seen in first cousins". Stephen Sherwell Jnr (b. circa 1838 d. 1882) and Ann Graves Taylor (b. 1855-03-09 d. 1933-12-28) married in in Victoria (1879-04-19). Stephen Sherwell Jnr and Ann had several children in Rupanyup, Vic including Ruby's mother, Emily. Stephen died in 1882 and is buried in Rupanyup cemetery. Vic. Ann Graves Taylor was born in 1855 in Prospect, North Adelaide. She was born to Eliza (Elizabeth) Taylor, five months after the ship, Pestonjee Bomanjee arrived in South Australia in October 1854. On her first marriage, to Stephen Sherwell, Ann listed Eliza Taylor as her mother and John Graves as her father. There were two men named John Graves on the Pestonjee Bomanjee in 1854. One was John Graves (Snr), a married man travelling with his wife Lydia and their children. The other was their son, John Graves (Jnr), aged 17 who died within weeks of arrival in Australia. Which one of these two was the father it is uncertain. There was mention in the birth certificate that Ann was illegitimate. Eliza signed the certificate with an 'x', indicating she was probably illiterate. On 1904-11-03, aged 51, Ann married a second time, this time to Edward Lawson. She now listed as John Graves (Snr) and Lydia Graves as her parents. It is unclear whether these were her adoptive parents or whether Ann's biological father was actually John Graves Snr. Ann signed with an 'x', indicating she was probably illiterate. Ann died in Horsham and is buried in Murtoa cemetery, Vic. William Sherwell (b. 1832 d. 1906) and Eliza Taylor (b. circa 1837 d. 1916) were married in North Adelaide (1856-02-20) when Eliza was 19 and William was 24. William and Eliza moved from South Australia to Victoria around 1880. William and Eliza both died in Nhill, Vic. Eliza Taylor was born in 1837. She came to Adelaide in 1854, aged 18, on a ship called the Pestonjee Bomanjee. It left Southampton, UK on June 18th 1854 and arrived in Port Adelaide, Oct 7th 1854. Eliza was a single passenger, a servant from Cambridge, UK. It was common that female orphans of marriageable age were given free passage to Australia. For both her marriage to William Sherwell and her death, Eliza's parentage was listed as 'unknown', indicating that she was possibly a foundling. Eliza arrived on the same ship as John Graves Snr, his wife, Lydia and six of their children including John Jnr (17). John Graves Jnr fathered Eliza's first child, Ann Graves Taylor. Eliza married William Sherwell a year after she had Ann. Stephen and William Sherwell migrated to Australia from Chichester (Sussex), UK and were two of the four children of Stephen Sherwell (Snr) (b. circa 1807 d. 1876) and Mary Challen: Fanny, William, George and Stephen (Jnr). The parents were paupers in the workhouse, presumably with all their children, and were being 'cleared out' from the UK, as government 'Assisted Immigrants' on the Orleana, leaving London via The Downs on 29-2-1840 and sailed to Port adelaide Australia arriving on the 10-6-1840. Stephen Snr died in 1876 and is buried in Rupanyup. Mary Challen died in 1894 and is buried in Warracknabeal. John Graves Jnr (b. circa 1837 d. circa 1854-10-12) came from Cottenham, Cambridgeshire. He traveled, aged 17, with his parents and 5 of his 6 siblings to Australia on the Pestonjee Bomanjee arriving Oct 7th 1854. With Eliza (18 at the time) now 4 months pregnant with his child conceived on the journey, John Graves Jnr died 8 days after the ship arrived in Adelaide. A year after John Graves Jnr died, Eliza Taylor (b. circa 1837 d. 1916), by then 19 years old, married William Sherwell Jnr, the son of Stephen Sherwell Snr. William Sherwell and Anne Levett were from Sussex, UK and probably did not come to Australia. John Graves Snr and Lydia Woods were married in the UK. They came to Adelaide from Cottenham, Cambridgeshire on the Pestonjee Bomanjee in 1854 with 6 of their children - John Jnr (17), Elizabeth (14), Harriet (10), Caroline (7), Edward (3) and William (1). Both John Snr and John Jnr were listed as agricultural labourers (farmers). Their eldest child James, who was already married, stayed behind in the UK. Eliza Taylor (b. 1837 d. 1916) came from Cambridge and has no listed parents. Although I'm known as Donna Williams and use that as my 'professional name', I'm now actually Donna Samuel since marrying Chris Samuel. Though in terms of identifying with a name I feel I am actually Polly Samuel. Chris is a Systems Manager (I.T) from Cardiff, Wales, and like many people born in Cardiff, is from a mixed background - Welsh, English, Irish and Italian. Although we'd both lived in Wales, we'd lived in different parts of Wales, and after 12 years in the UK, I returned to Australia, bringing Chris back with me in 2002. The story of how I met, proposed to (it was a leap year) and married Chris and our migration to Australia is in the book Everyday Heaven. My mother, Marlene Collis was born in 1942 and was the 2nd of 9 children who spent her childhood living in a hotel in Terang, in country Victoria, in slum housing in Fitzroy, then by her early teens in government housing in Maidstone. One of the most striking things about her ancestry is that whilst many from Anglo-Australian ancestry have a convict or two in their history, my mother parents descend from, in total, at least 4 convicts. Among her direct line are also 4 women who migrated away from the Irish Potato Famine and at least one Scottish orphan probably part of workhouse clearances Though my mother had little or no idea of this history, knowing it helps me understand some of her history, values and attitudes which may well have been passed down from ancestors from extremely challenged backgrounds. My mother's mother was 14 when she had the first child and had my mother 18 months later. My mother's father was 19 when his first child was born and 21 when my mother was born. He conscripted into the army by 1942 during WW2 but went AWOL from training where he went back to work in the transport business of his father. This was illegal for army conscripts and by 1944 he was eventually caught and court marshalled. He was dishonorably discharged from the army and so avoided active service. My mother's mother was Patricia Ponting who was born in 1927, one of several children who grew up in Terang in country Victoria. Her mother died from uterine rupture (a complication of EDSIV) in childbirth with her younger sister when she was 4 years old. She grew up with her siblings and father. My mother's father was Francis John Collis, known as Jack, was born in 1922 who was one of several children who grew up in Terang with both parents. His father had a transport business, which he later became involved with before eventually becoming a dockside worker in Melbourne's waterside dock yards. 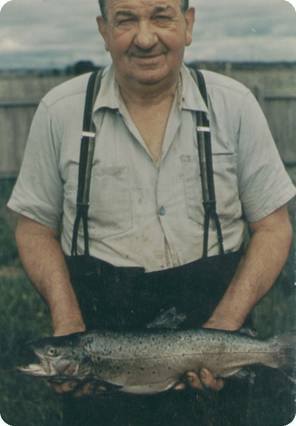 Francis Ponting was born 1897 in Noorat, Vic to George Ponting and Susan Bertrand. Francis died in 1960 in Terang, Vic. Jane Smith was born 1893 in Hexham, Vic to Alex Smith and Jane Jubb. She died in 1930 in Terang, Vic. 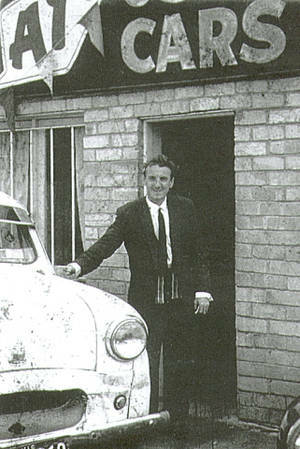 Gordon Collis was born 1900 in Port Fairy, Vic to John Collis and Mary Middleton. Gordon died in 1949. Christina Jacobs was born 1895 om Sale, Vic to John Jacobs and Margaret Todd. Christina died in 1973 in Brunswick, Vic. George Ponting was born 1852 in Bath, Somerset to James Ponting (also spelled Pontin) and Mary Ann Francis. George died in 1909 in Noorat, Vic. Susan Bertrand was born 1853 in Warnambool, Vic, to Thomas Bertrand (Jnr) and Margaret Smith. Susan died in 1823 in Hawthorn, Vic. Alex Smith was born in 1867 in Aberdeen, Scotland to Alexander Smith and Isabella Farquharson. Alex died in 1939 in Terang, Vic.Jane Jubb was born 1866 in Woorndoo, Vic to Henry Jubb and Elizabeth Corr. Jane died in 1938 in Terang, Vic. John Collis was born 1859 in Penola, South Australia to William Collis and Janet Mc Leod Cook. John died in 1910 in Penshurst, Vic.Mary Middleton was born 1872 in Dunkeld, Vic to Robert Middleton and Catherine O'Shannessy. Mary died in 1947 in Parkville, Vic. John Jacobs was born 1870 in Australia to Charles Jacobs and Christina Touchburn. John died in 1919 in Sale, Vic.Margaret Todd was born 1873 in Sale, Vic to William Tod and Agnes Branks. Alexander Smith (no relation to Margaret), was born 1823 in Stonehaven, Kincardine, and Isabella Farquharson, was born 1829 in St Clements, Aberdeen. Neither came to Australia. Henry Jubb, was born 1829, in East Rutland, England and Elizabeth Corr, was born 1834 in County Armargh, Ireland. The potato famine also impacted County Armargh from 1845-1852. By 1860 Catherine had arrived and married in Victoria. They both died in Mortlake, Vic in 1911 and 1904 respectively. William Collis was born 1821 in Staffordshire, England. Janet Mc Leod Cook was born 1834 in Belfast, Northern Ireland. The potato famine also impacted Belfast from 1845-1852. By 1858 Janet had arrived and married in Australia. They both died in Penshurst, Vic in 1909 and 1914 respectively. Robert Middleton was born 1829 in Edinburgh. Catherine O'Shannessy was born in 1838 in Galway, Ireland. The potato famine also impacted Galway from 1845-1852. By 1860 Catherine had arrived and married Robert in Victoria. Robert died 1900 in Dunkeld, Vic. Catherine died 1894 in Hamilton, Vic. Charles Jacobs was born in 1820 in Devon, England and as a young adult was convicted and sentenced to 7 years for break-in, transported on the Mount Stuart Elphinstone 1848 to Tasmania. In 1850 he married a convict woman who died in 1961, then later the same year he married Christina Touchburn. 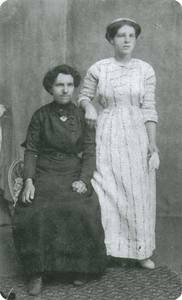 Christina Touchburn was born in 1837 in Fermanagh, Northern Ireland to parents who were farmers during the potato famine and came to Australia on her own probably as part of workhouse clearances. They both died in Sale, Vic, in 1884 and 1919 respectively. William Tod was born in 1842 in Milnthort, Kinross. Agnes Branks was born in 1840, in New Monkton, Lanarkshire. Agnes came to Australia, likely as an orphan in workhouse clearances, in 1860. The couple married in 1861. Both died in Sale, Vic, in 1894 and 1909 respectively. Thomas Smith was born in 1781. Thomas was sentenced in Warwickshire to 14 years for shop stealing of linen, transported on the Calcutta 1803 to Vic. Martha Fagan was born in 1793. Martha was sentenced in Dublin for shop stealing, transported on the Alexander II in 1816 then to Tasmania on the Kangaroo. Martha had a daughter, Sarah, in April 1917 (listed as 'father unknown') and married Thomas 5 months after this birth in September 1917. Whilst pregnant with another daughter, Margaret, Martha was convicted again for shop stealing of calico and transported from Hobart to Newcastle in Jan 1821 to serve a further 2 years with the baby born 8 months after her sentencing. Thomas died in 1846 in Hobart, Tasmania. Martha died in Tasmania in 1877. Martha features in the book "Notorious Strumpets and Dangerous Girls" about the first female convicts in Tasmania.